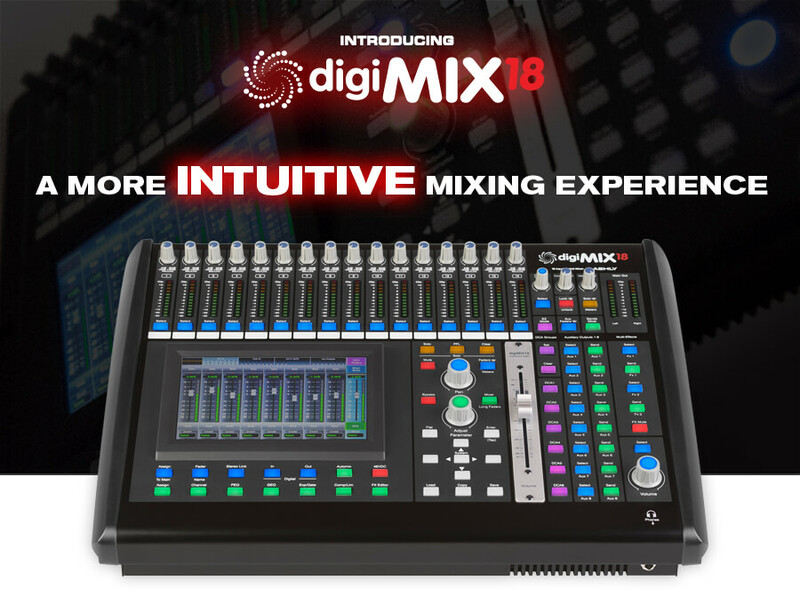 The digiMIX18 is the only live digital mixing solution in it’s price range that doesn’t rely on WiFi to mix! 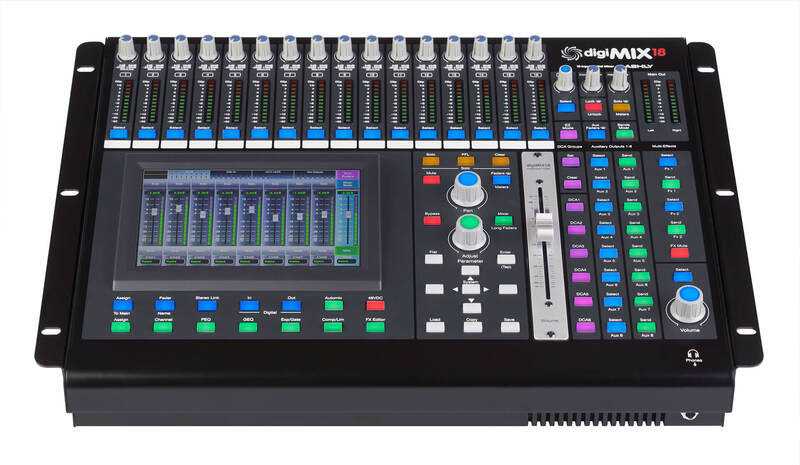 The digiMIX series of digital mixers give you complete control over your performance space. Whether you’re mixing live bands, a high school musical, a worship service, or recording in a project studio there are many applications where digiMIX feels right at home. A usable interface means you don’t have to compromise. 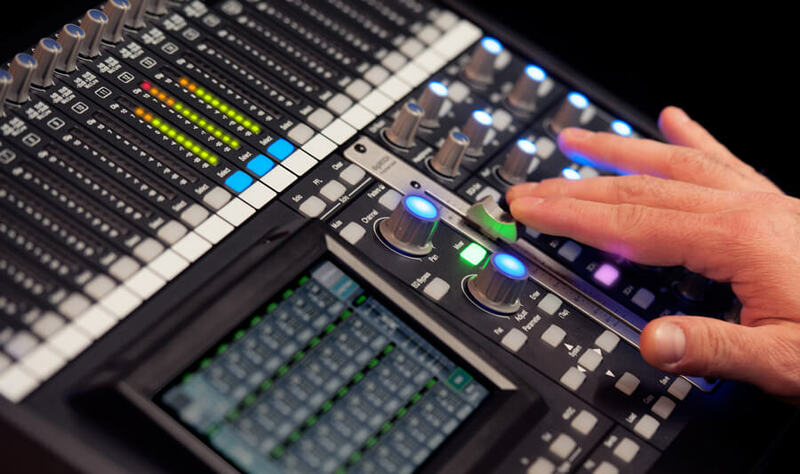 The Live Control Surface allows optimum control with real knobs and a live fader when selecting important functions. Simply select any channel to assign the fader to an individual channel and the intelligent meter bridge will not only display signal levels, but also all fader positions. Use the 7 LCD touchscreen to navigate sub menus and toggle to various settings quickly and intuitively. Together, its the ideal mixing experience. Physical controls paired with touchscreen versatility is the best of both worlds. 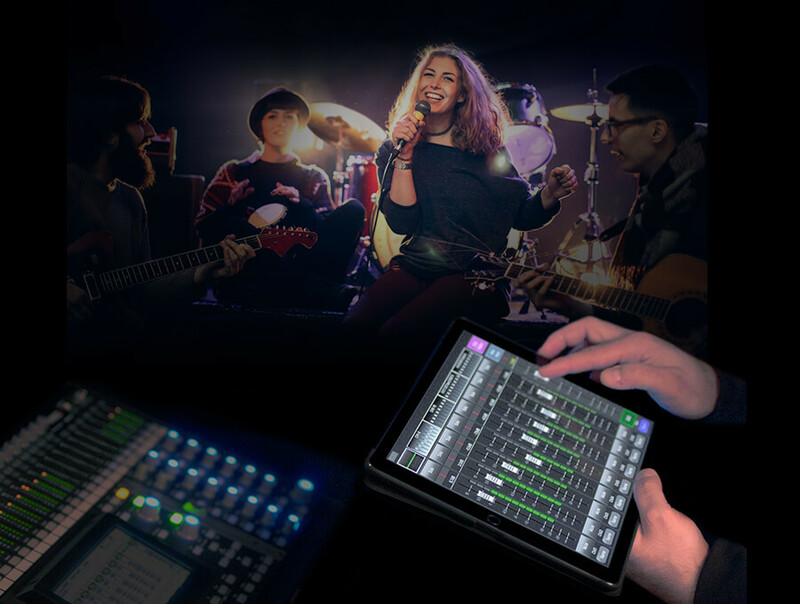 Use the free Ashly digiMIX iPad® App for remote control or for live performance or in a venue for fixed installation. Take advantage of EZ-Mode for users with no technical experience. Programmers can password-protect a very simple control interface that clients can easily understand and operate. Add a Dante® for network audio capability, or a USB option for multi-track recording. Use digiMIX as a command center to integrate throughout an entire venue or facility. Add an optional Dante® module to transmit and receive Dante network audio. Assign one or more channels of network audio to receive and integrate audio with any endpoint in the system. With a USB option interface, process 24-bit audio for recording with a computer.